City Welcome – Where Creativity Meets Concord & 9th! Hello peeps! I hope that you all had a safe and happy 4th of July! I went out to my friend Carol’s and got to see a bunch of friends that I haven’t seen in a while which is always a good time! It’s time for my July Solo Post over on the Where Creativity Meets Concord & 9th Challenge Blog! 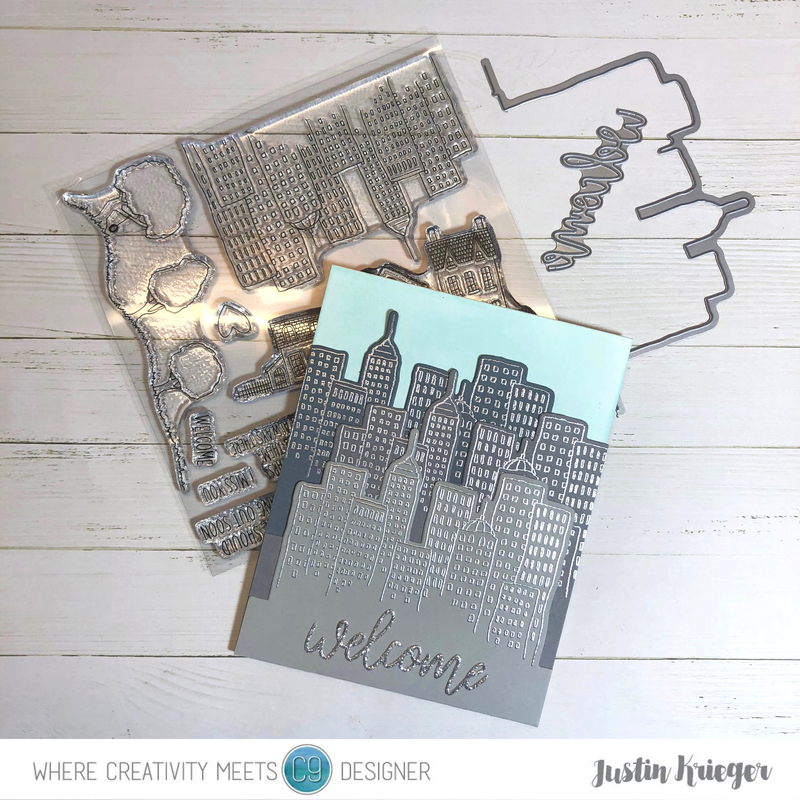 You know that I love a little cityscape and the new City Stacks Stamps and Dies are perfect for making a little scene! I started by heat embossing the buildings from the Concord & 9th City Stacks Photopolymer Stamp Set in Hero Arts Silver Embossing Powder onto some different shades of Grey 110lb Card Stock. I used the Coordinating Dies to cut them out. For my card base I blended Hero Arts Soft Pool Ink onto a piece of Neenah Solar White 110lb Card Stock to create a subtle sky. I wanted to make the card easy to mail so I added the different building to the card front with E-Z Runner. The welcome is cut from Silver Glitter Card and adhered to the bottom with Multi-Purpose Spray Adhesive. Pretty simple but I do love the different “streets” of buildings!